Your 4x4 driver will take you around the island and visit Maeva's marae, Faie's blue-eyed eels and Maroe's Belvedere for impressive views. 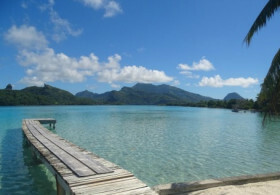 You will also visit the only pearl farm on water and Huahine's traditional fish parks. 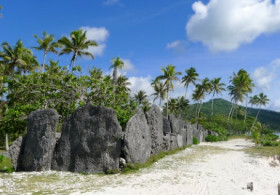 You will learn about the island's culture and legends as your tour progresses. 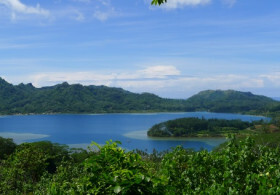 A hike accessible to all to discover the archaeological sites of the village of Maeva, the variety of tropical plants along a shaded path and traditional fish traps on Lake Vainui. Discover the Polynesian lifestyle with your guide, native of Huahine. 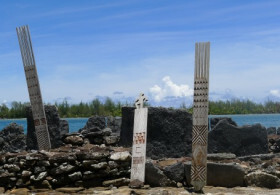 Visit the historical sites of the marae of Maeva, stop by the river hosting big blue eyes eels and other main sites of the island but also on a private paradise motu, only 5min boat drive from the island. You will discover the culture of vanilla, tiare flower and the harvest of coconuts. This is Toriki's daily life. 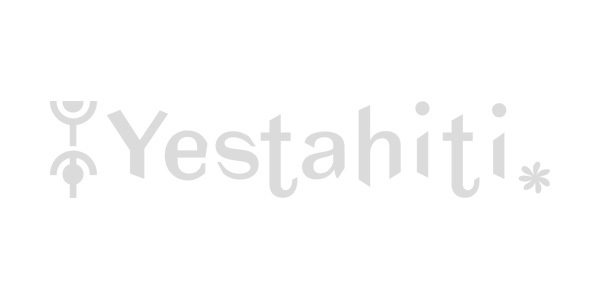 A true dive into the heart of Polynesian culture and life! 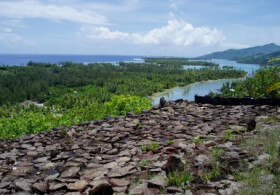 Visit Huahine from a comfortable 4x4 and explore the many archaeological sites remaining on the island. Huahine is also known as the Garden of Eden because of its famously tasty fruit. Huahine's legends and history will take you on a journey from the river where the blue-eyed eels dwell up to the Belvedere with scenery to make your heart swell. 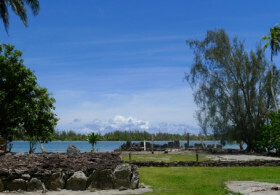 Set off on an educational exploration of the island and learn all about Polynesian geology, botany, anthropology, archaeology, sociology, economy, history and traditions. Your driver-guide and will share his knowledge, experience and passion for this beautiful island with such a rich culture. An introduction to diving on our islands is all about the excitement of discovering a new world, the unique sensation of being weightless under water, and being enchanted by abundant aquatic plant and animal life in a variety of colours and shapes. It's also an experience to share with people who are passionate about diving. 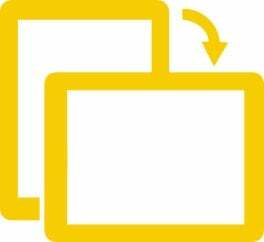 It's accessible to all & no particular skills or knowledge are required. You just need to be in good physical condition. 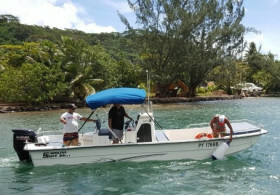 Open to both novice and experienced fishermen, go for a fishing trip in the lagoon of Huahine. Choose your gear: palangrotte, reel or Popper lure? 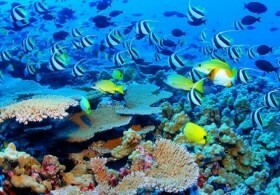 Enjoy a full day of snorkeling in the coral garden and natural aquarium to meet colourful tropical fishes. 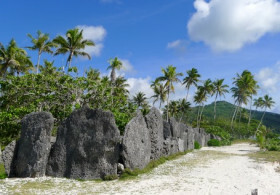 Stop by the unique pearl farm of Huahine to learn about the secrets of the black pearl culture. A picnic lunch will be served on a motu on a superb white sand beach. Enjoy a walk on the motu or a swim before leaving the motu and continuing your day. 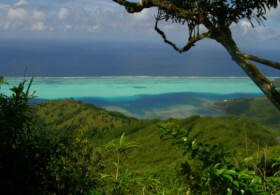 What could be better than travelling through Huahine in a comfortable 4x4? Set off from the main village of Fare and visit the historic and archaeological sites around the village of Maeva which still harbours archaeological relics. Next, head to Faie and its river full of blue-eyed eels before enjoying a lunch of local fish at Poe's home and discovering a few cultural activities with her. Embark for a full day lagoon tour in a friendly ambiance! Enjoy Huahine lagoon with a snorkeling, meet Faie's impressive blue eyes eels and visit the only pearl farm of the island. Then head to the motu where lunch will be served feet in the water. Cultural activities will fill your afternoon and you will end the day with the head full of memories! Discover the Polynesian lifestyle with your guide, native of Huahine. 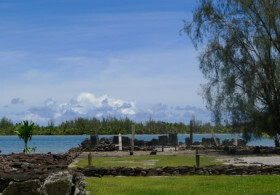 Visit the historical sites of the marae of Maeva, stop by the river hosting big blue eyes eels and other main sites of the island but also on a private paradise motu, only 5min boat drive from the island. You will discover the culture of vanilla, tiare flower and the harvest of coconuts. This is Toriki's daily life. A full day of discoveries allying land and sea awaits you... The day begins with a 4WD tour and the visit of the main sites of the island: village of Maeva and its traditional fish traps, Faie and its blue-eyed eels and much more... The day continues with a picnic lunch on a motu, feet in the lagoon! Various activities are scheduled in the afternoon on the motu before leaving for a circle island tour of Huahine Iti by boat. 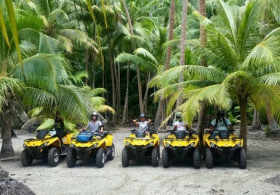 Go for a ride around Huahine Nui, the big island, and visit its main sites: marae, museum, traditional fish traps?So many places to discover via the main road or through off-road trails, spend a real moment of fun and discovery! 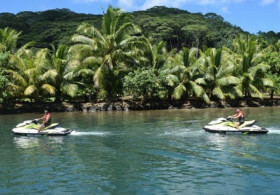 Enjoy a guided Jet Ski tour around the island of Huahine including several stops for snorkeling or visiting a pearl farm. Discover the different landscapes and passes of the island. You may even meet dolphins during your escapade. Your 4x4 driver will take you around the island and visit Maeva's marae, Faie's enormous blue-eyed eels and Maroe's Belvedere for impressive views. 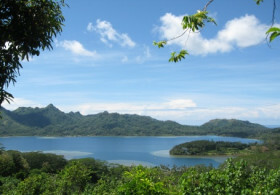 You will also visit the only pearl farm on water and Huahine's traditional fish parks. You will learn about the island's culture and legends as your tour progresses.